A lonely girl befriends a monster who resides on the outskirts of her town. The exquisite gothic of I Fall Down is impossible to deny. 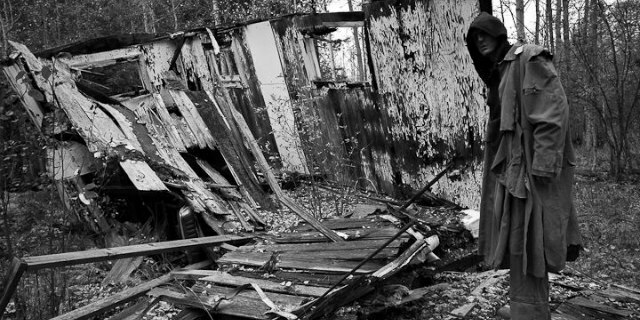 Moving, scary and visually impressive, I Fall Down is compelling and vivid horror cinema. Like Frankenstein’s creature and Eli in Let the Right One In, the monster in Christopher White’s superb micro budget indie I Fall Down is an outsider in the true horror tradition. 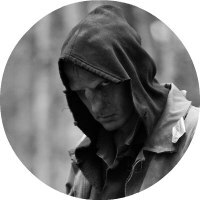 Disfigured and scarred, the hatred and fear he inspires in a town, which is both small in size and narrow of mind, has resulted in Charlie (the monster, played by Tom Antoni) evading society to instead forge a reclusive existence in the surrounding woods. 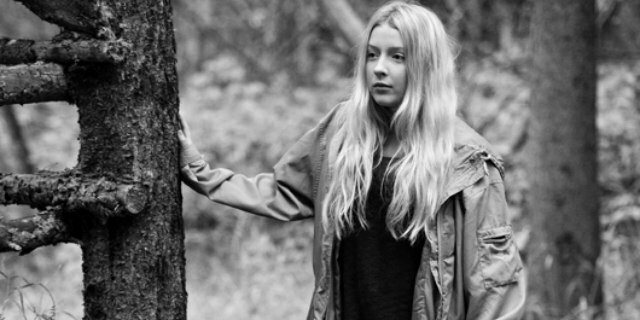 One day, however, the teenage Annessa (Emma Houghton), fleeing into the forest in order to escape the misery of her own reality, befriends the looming but reluctant hermit, thus beginning this striking and heart breaking fable of a girl and her monster. Itself an outsider genre which exists in the margin of cinematic respectability, a major purpose of Horror is to examine the unpalatable or repressed, to question the boundaries of the hegemony. 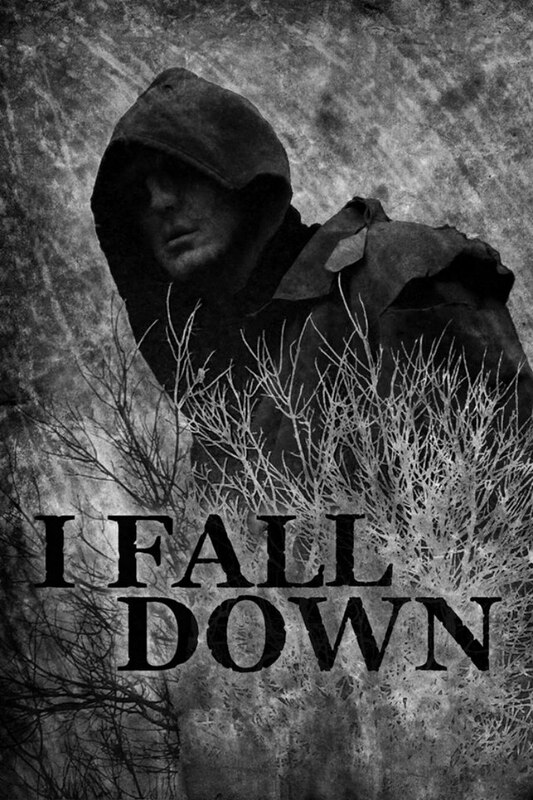 The true horror of I Fall Down, therefore, is not gentle Charlie with his hood covering his disfigurements, but the forbidding everyday desolation of Annessa’s life. At home she is subservient to a deadbeat dad, who has subjected her to a lifetime of poverty and mistreatment, and her school life is a lonely ordeal, punctuated by occasional bullying by ersatz plastics and the disinterest of her boyfriend. When Charlie does eventually make forays into the ‘real world’ of the town, the cruel reactions he receives are not due to his appearance, but the ugliness of a society with limited acceptance and empathy. The most politicised of genres, White uses the lens of horror to explore recognisable cruelties, taking in high school hierarchy, alcoholism and even rabid pro-life mob rule (Charlie’s disfigurements are the result of a late trimester back street abortion). Shooting his film in arresting 16mm (mmm, wonderful, grainy 16mm), White communicates the outskirt existence of Annessa and Charlie in vivid cinema, giving the proceedings an ethereal edge which befits the fairy tale tropes of the narrative. However, although the film hinges on such Marchen features as enchanted woods, ogres and cruel authority, White’s parable has a mature depth of thought and sensitivity which I only wish most indie horror would aspire towards, as the film carefully balances its transgressive subject matters with a deeply felt compassion. 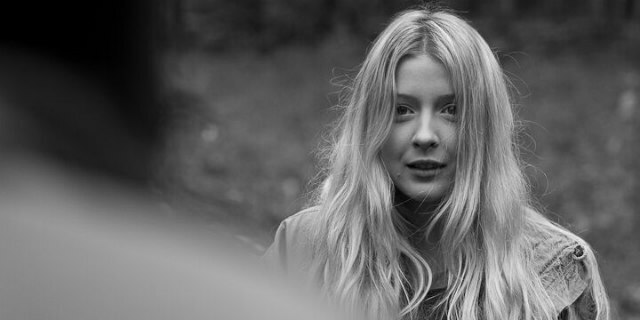 Although it features topics that lesser films would see fit for prurient exploitation, or at least belabour, we view proceedings through Annessa’s eyes, and so I Fall Down pushes the vivid details of sexual abuse to one side, preferring to focus on the hope and love generated between two disparate souls. However, as the film recognises, and Annessa comes to tragically understand, in the end, such cruelties are hard to fully escape. As Annessa, Hougton is just superb. The monochrome photography is a perfect match for her expressive face, giving shadowy depth to her fear and bright white delight to her moments of joy; an utterly charming, innocent performance that sells the Of Mice and Men dynamics of the central relationship. Reputedly shot for $25,000, the ambition of I Fall Down is not hindered by its budget. While there are a couple of Lynchian dream sequences that don’t quite come off, the overall exquisite gothic of I Fall Down is impossible to deny, with chilling images such as a baby crying beneath a bloody blanket and the dream vision of a faceless farmer endlessly scything dead crops still giving me little goosebumps as I remember them now. 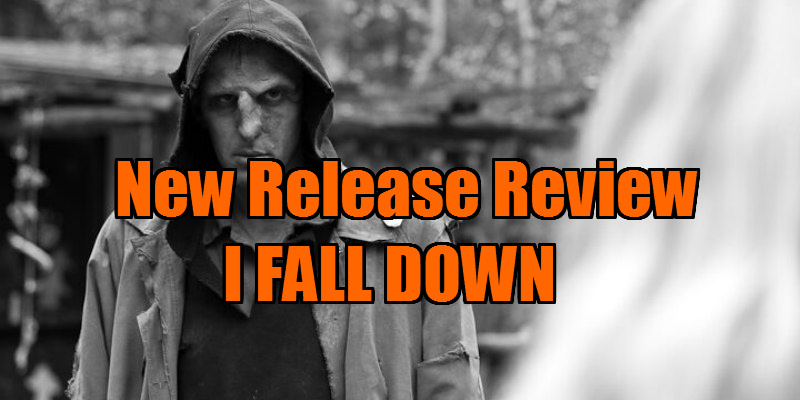 Moving, scary and visually impressive, I Fall Down is compelling and vivid horror cinema.